Hello! I'm Andrea, a forty something lucky lady living on cloud nine in the Midwest. With the last name of "Nine", I try to make each day as blissfully happy as possible. Much of that happiness comes from an amazing husband and three fabulous sons. Two in college, one still in High School. 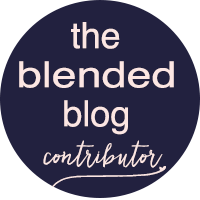 This blog is family, fun, food and fashionably focused. This site may contain affiliate links. All of these are items I would personally purchase myself or have already purchased. Living On Cloud Nine only promotes and gives opinions on what I LOVE!! !